Unfortunately we don't have a Kat Von D in my local Debenhams so whenever I can get to a counter I love nothing more than to look at the range. I was in the market for a new concealer so decided to give the Lock It Creme Concealer a shot. I've had it a while now so its time to share my opinion with you. The Lock It Creme Concealer claims to be an all rounder which can be used eyes, to fix discolouration and cover up any blemishes. 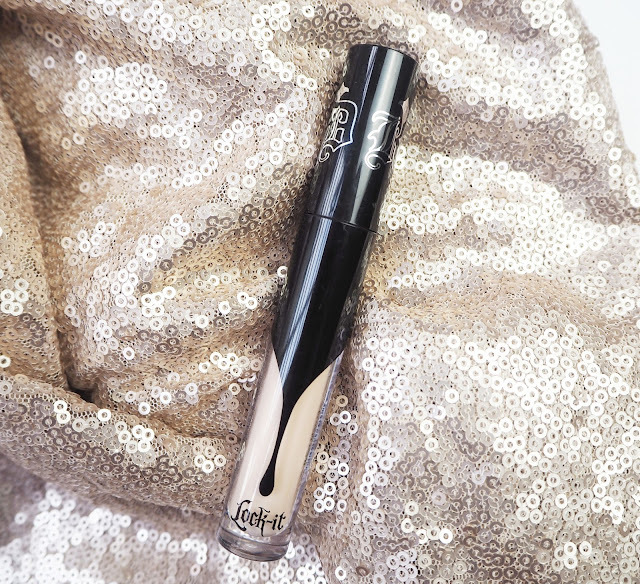 As with the other products in the 'Lock It' range this is a full coverage, long wearing formula. With a price tag of £20 its definitely at the higher end of what I'm happy to pay for a concealer but I'd liked all the other Kat Von D products I'd tried so figured it was worth splashing the cash on. The shade range is extensive with warm, neutral and cool undertones. After a little deliberating I was matched to L9 which is a neutral tone and actually not the lightest in the range which for me is surprising! I also liked that you can get it in white to customise your own shade if needs be. 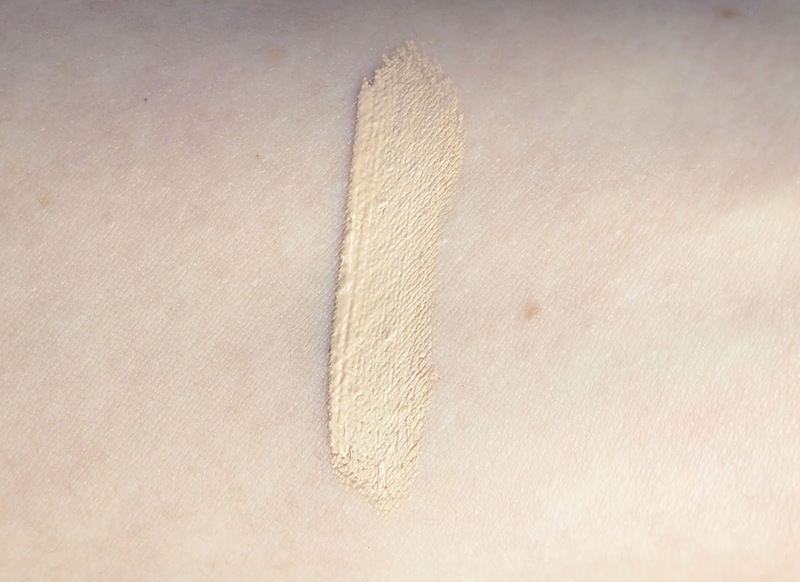 If I'm honest this colour is a little too yellow for me so if I could buy it again I would go for a cool undertone instead, however having said that its not so bad that I can't make it work. Packaging wise its very typical of Kat Von D with the see through tube and black design with the logo in silver. I love the contrast and gothic theme of the entire range so think the concealer looks great. 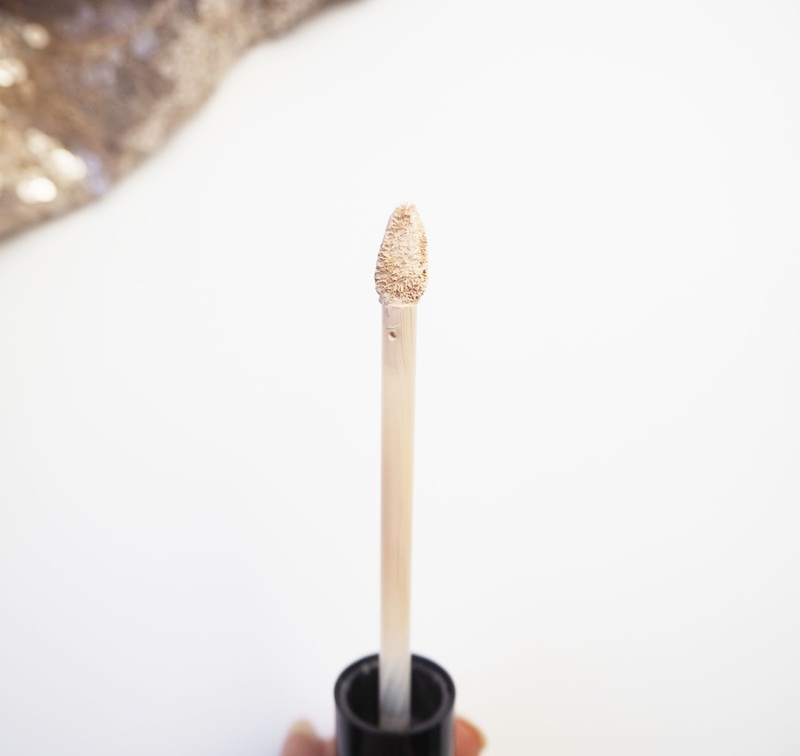 Its applied using a tear shaped doe foot applicator; I like this kind of shape for an applicator as it makes it easy to get in the nooks and crannies of your face. I found that the coverage is quite thick so I didn't need lots to cover up any under eye circles and blemishes. It feels very creamy when applying and almost a little on the sticky side which I'm not a huge fan of. However my main issue with this concealer is the creasing, oh em gee this creases to no end on me, I have no idea why but it does. I've used it with different primers underneath, with different setting powders and nothing works at keeping this crease free. It's so frustrating as the coverage is good but it doesn't stay in place at all and within minutes has creased a lot. I gave it several goes (mainly because it cost me £20) but annoyingly I just don't think me and this product are meant to be. 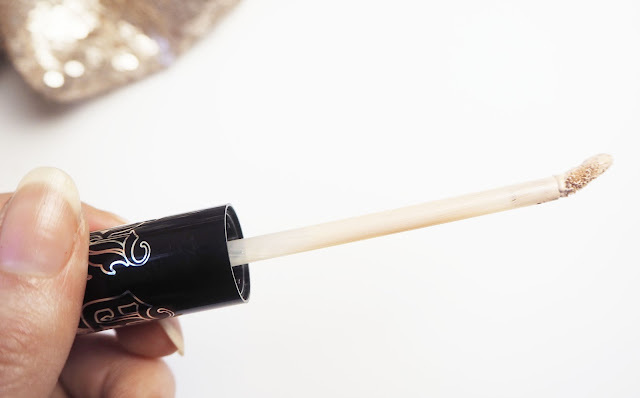 Have you tried out this concealer? What do you think? I'd love to know!